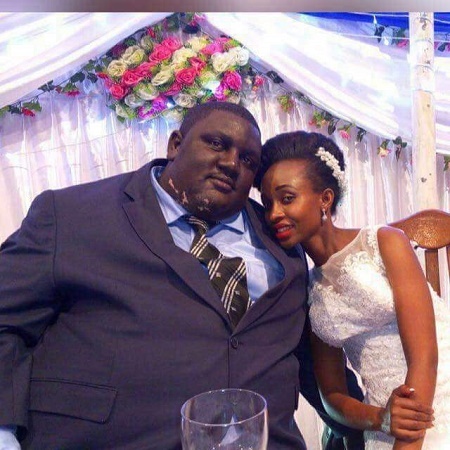 There is serious commotion online over a couple's wedding photos which many have interpreted quite differently and in bad manner. A sweet couple are celebrating their marriage and have shared photos online for people. However, the couple's wedding photos have become the cause of a serious commotion online as many people have reacted asking if it is truly about love. 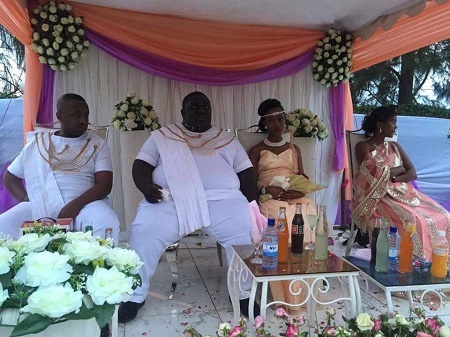 An unidentified African woman's decision to wed her heart throb who is chubby with a big stomach has left many people wondering if there is nothing love cannot bind together. The photos of the couple drunk in love and in different outfits surfaced online recently. 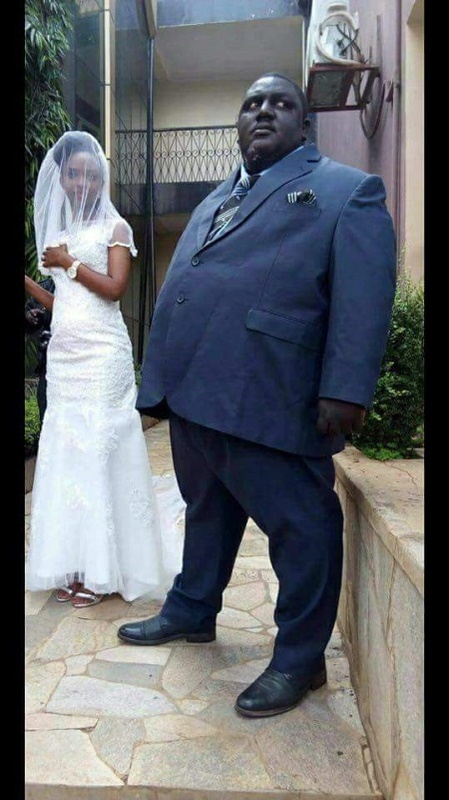 Although the exact country in Africa where they come from is still being speculated, the woman could be seen dressed up in her wedding dress while the man poses by her side in his well cut suit. 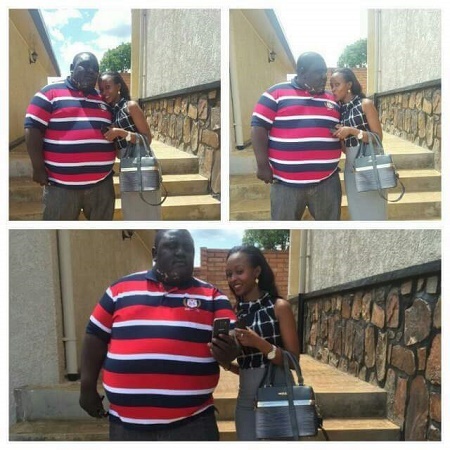 Many believe it is true love that brought them together, however some others believe it must be the man's money that made the wife settle for such a big man. "And again for my youth guys, I mean the rich guys. 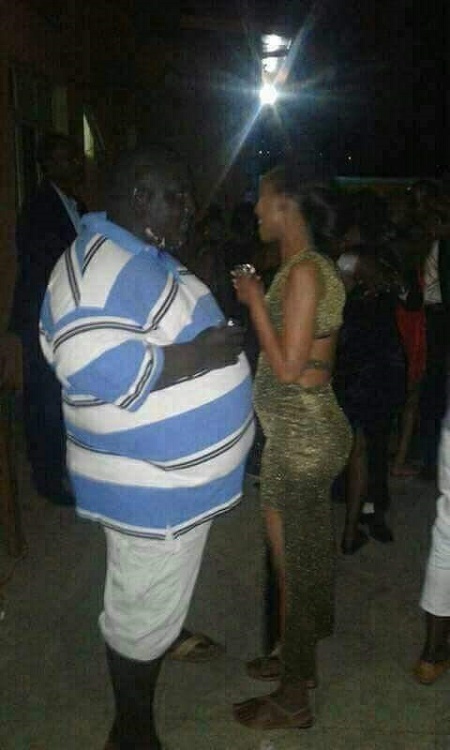 If you want to marry take all your time and act like poor guy. Any woman who accept and love you at that level. Then confirm her as true love. Because when I married I was like port guy and my woman accepted me. And now I can show her the love and spend my cash on her without looking back..." someone wrote. Another person added: "I bet u he has an eight or nine figure acct balance." "It feels good to fall in love It's better to marry the one you love It's feels best to aid the one you love, live a healthy lifestyle so that he can live healthy, strong and have a longer life span for you and your kids. Your photo together looks good and speaks a lot, but it can also look better. Congratulations sister." someone else wrote.